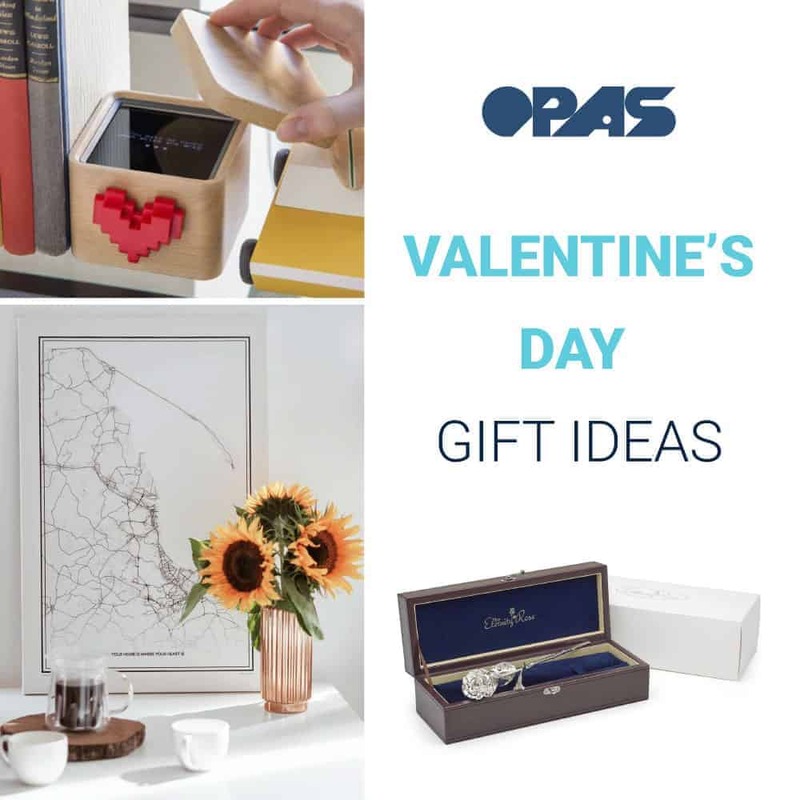 With Valentine’s Day nearing in just a few short weeks we wanted to offer up some thoughts for 2019 Valentine’s Day gift ideas you can purchase online. In this list, we’ve included gifts for her, him, and even a few ideas that couples can enjoy together. Valentine’s day is right around the corner so if you plan on ordering your gifts online we would suggest doing it soon to ensure that you receive it in time with a little extra for wrapping. A true forever rose. 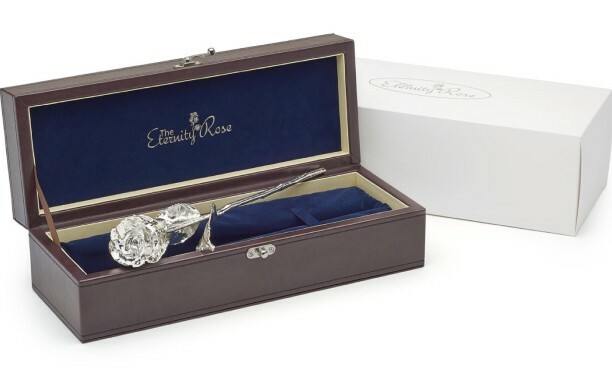 Holding the same sentimental meaning behind a traditional rose – this pure silver, mirror finish, eternity rose is the perfect gift for someone special. It is created from the process of dipping a real, natural rose into silver to preserve the fully-bloomed shape forever. Accompanied with a custom case and authenticity certificate, it makes a great Valentine’s Day gift. Shop via The Eternity Rose here. Each birthstone holds a special meaning for the person that wears it. 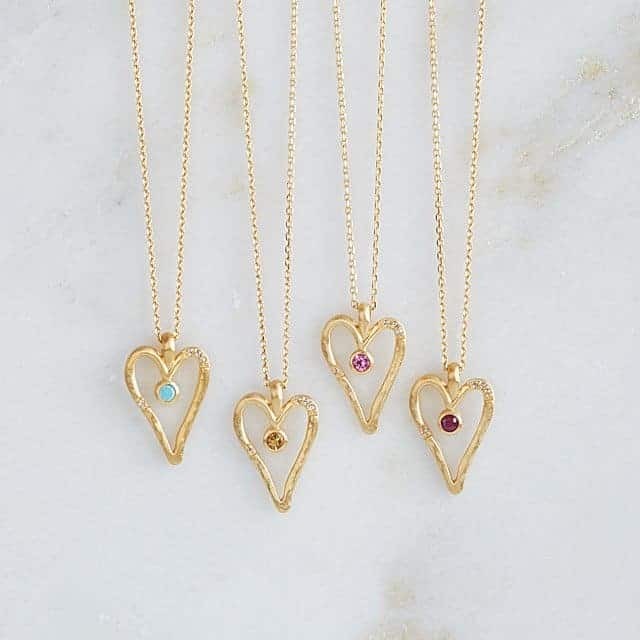 Handmade from 18k gold and stunning gemstones, it’s a great Valentine’s Day gift for someone who loves custom jewelry and appreciates the symbolism found within birthstones. Shop via Uncommon Goods here. 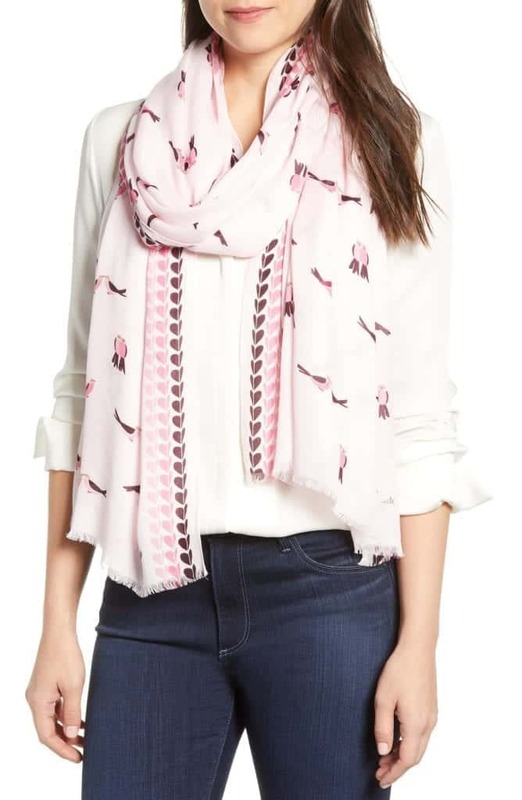 A sweet and elegant statement piece to add to the closet of your loved one is this kate spade “lovebirds” designed scarf. It embodies Valentine’s Day while still be casual enough to wear during the rest of the year. A handy tool to carry when traveling or when simply on the go is this personal engraved leather grooming kit. 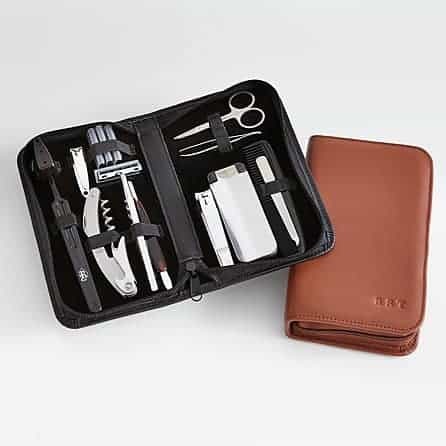 It comes equipped with a razor, tweezers, corkscrew, toothbrush, and more all compact in an easy to care leather case. Gifts.com does not ship internationally, but don’t worry, if you’re shopping overseas you can shop products from them by using our US Mailing Address services. A timeless watch is always a good bet for a Valentine’s Day gift for the special man in your life. 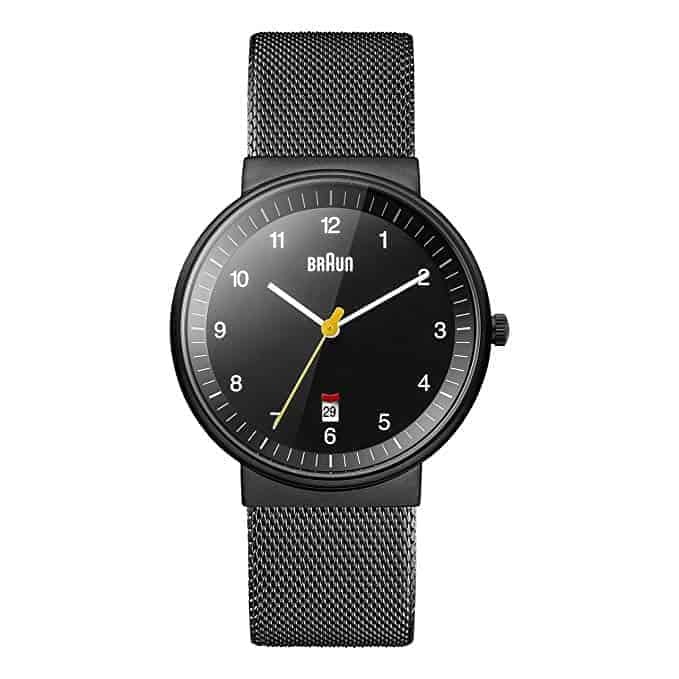 This classic style watch by Braun features a stainless steel casing and it water resistant. Choose between a leather strap or steel chain bracelet and a black or white face. 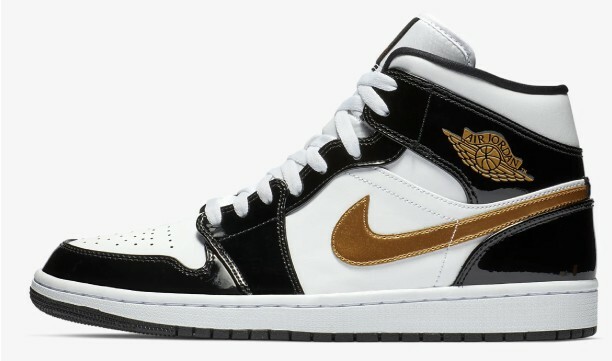 We included these Air Jordan’s on the list for the shoe-fanatic. This specific style is available in four different styles featuring various color combinations. It’s made to be both comfortable and fashionable. 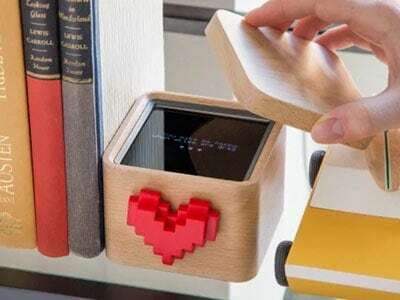 Pass love notes back and forth with this wifi-connected digital message box. Using a mobile app you can quickly send messages (both as texts and pixel drawings) to this small wooden box. When you receive a new message the external red heart notifies you. Plus it’s also such a fun gift for the whole family! On top of being a great gift for couples, it also works great for grandparents and grandchildren, nieces and nephews, parents, and more. Using the app multiple people can send their messages to one box. Shop via The Grommet here. 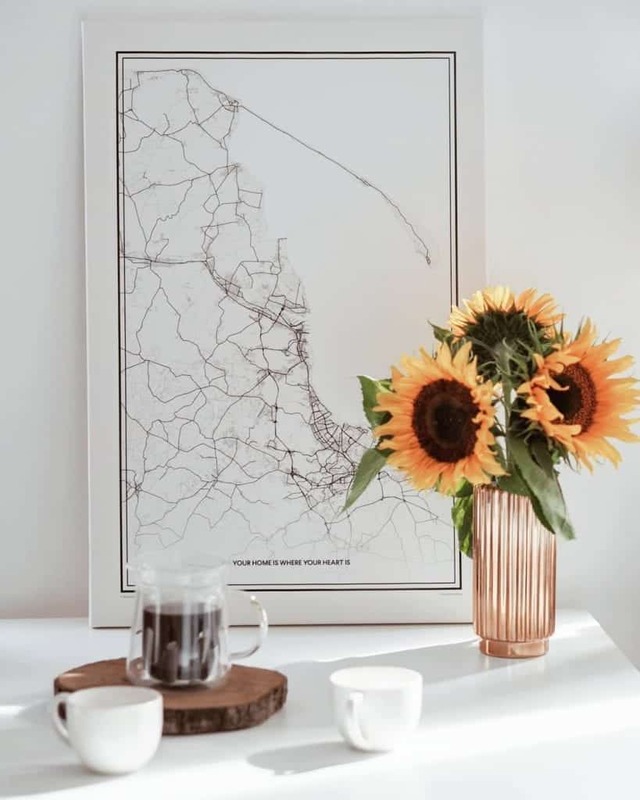 An ideal and wonderfully sentimental gift for couples is a personalized map displaying the place where they met or another significant location. Grafomap creates aesthetically pleasing posters available both framed and unframed with this purpose in mind. Choose the design style of your liking, add a personal label, and select your layout and you’re all set. Get an extra $10 off for Valentine’s Day 2019 using the promo code “VALENTINE”. We hope this curated list of Valentine’s Day gifts ideas provides you with some inspiration as you go about your V-day shopping. A little thought and a lot of care when shopping for the perfect present can go a long way. Do any of these gift ideas fit for you and your loved one? We always aim to make the online shopping experience effortless for our customers across the globe. Some of the items we feature on our site are only found in the US or can be purchased internationally but might result in higher prices due to import or shipping fees. With OPAS you never have to worry. Avoid additional costs and save more by using your Sales Tax-Free OPAS address and consolidating your purchases. Enjoy shopping at online stores in the US and let us help ship to you! View our forwarding packages here.